Yes, we ship to Canada! 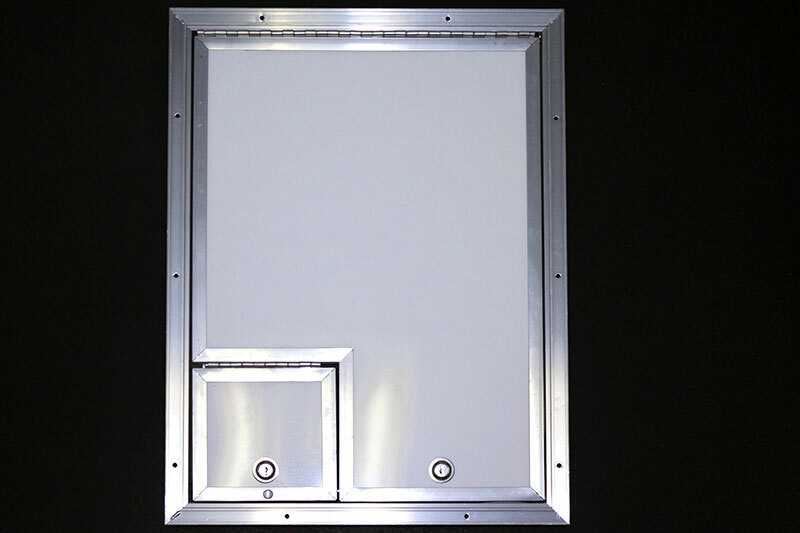 Fiber optic splicing door with a 6”x6” cable door inset; polar white finish with aluminum frame. Both doors have locks with keys. 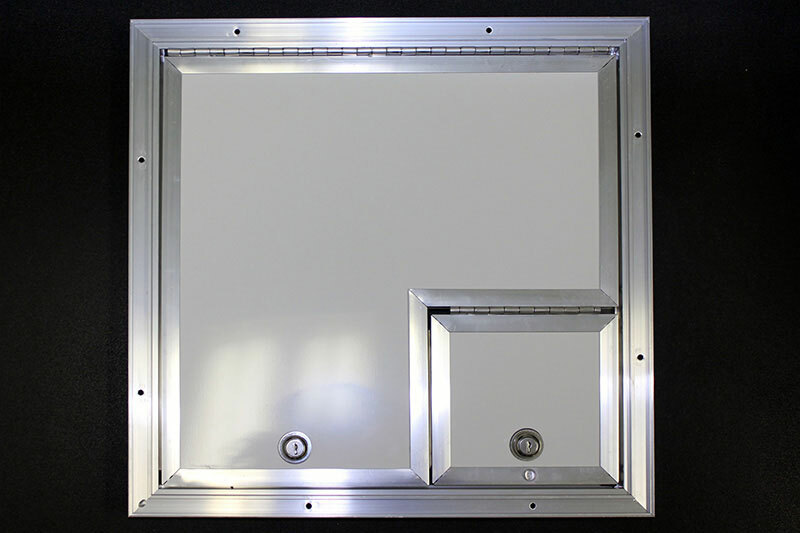 We stock 16 x 16 and 16 x 22, and custom sizes are available with a lead time. Generator doors 24 x 36 are pictured on-site, but we can do other sizes as well. Order by phone at 618-532-2672 (877-775-4246 toll-free) Monday through Friday, 8:00 AM to 4:00PM, Central Time, or email sales@fiberoptictrailers.com and we'll call you during normal business hours.